Solemen is helping to create sustainable economic solutions by partnering with local Balinese farmers. Your gift of Moringa trees is the first step in our initiative to support rural families and communities in Bali. PLANT A TREE... WATCH THE COMMUNITY GROW! Your support means the world to us and the farmers we are partnering with. To read more about our Moringa Tree Campaign Objectives please go to our website here. Yayasan Solemen Indonesia (‘Solemen’), an Indonesian non-profit foundation, provides direct support and funding for the disadvantaged and ‘diffabled’ (differently abled)in Bali. Established in October 2010, Solemen is one of Bali’s most trusted and visible charities. The Former Governor of Bali is Solemen’s ‘Pelindung’ (Guardian/Patron) and the charity is endorsed by the Bali Government Tourism Office and the Bali Hotels Association. Solemen Founder, Robert Epstone, declared his intention to be barefoot until SOLEMEN have raised USD 1million. His reason for being barefoot is “to be in solidarity with all those who don’t have a choice to wear or not wear shoes”. Solemen’s Outreach Programs benefit the poor, the disadvantaged, the ‘diffabled’, the homeless and the marginalised in Bali. The charity’s goal is to alleviate the misery of extreme poverty by bringing hope and sustainable solutions to those who remain hidden from public view and hence are separated from easy access to medical treatment. Solemen actively reaches people who fall through the cracks and are not helped by the existing network of charitable organisations and government programs. Despite very often operating on a shoestring budget, Solemen’s fast acting Outreach Team of volunteer doctors, nurses, therapists, nutritionists and social workers shoulder an ever-growing caseload of ‘Solebuddies’ (people under our care). 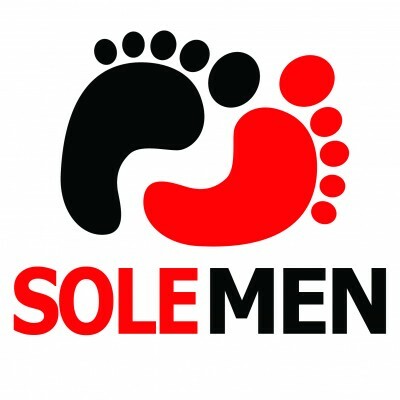 Solemen provide effective and targeted help where it will have the most impact. Our mission is to help the disadvantaged in Bali, our Moringa Tree Campaign is helping us to achieve that!